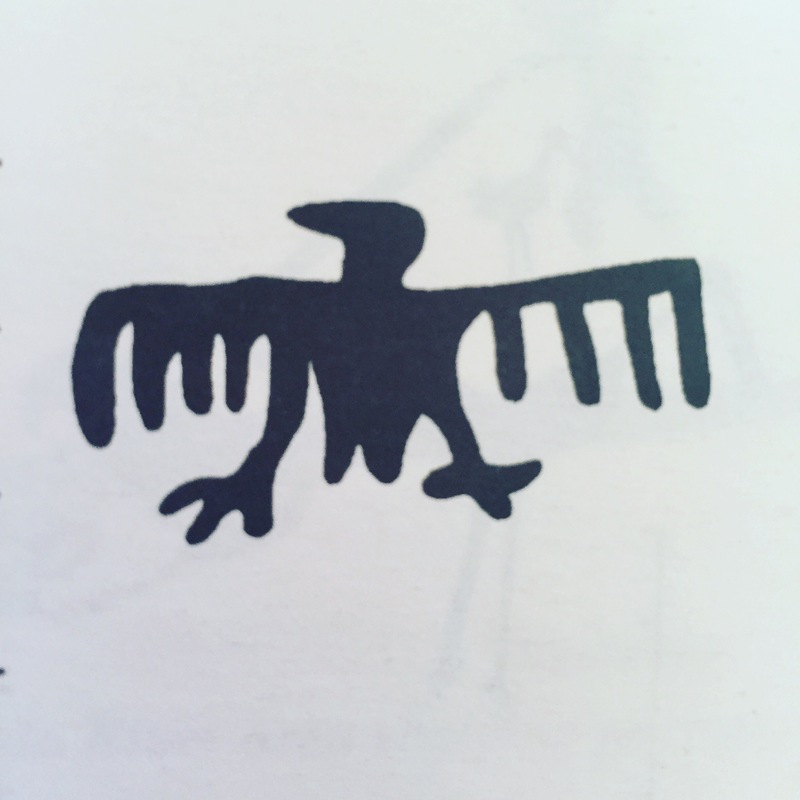 I included this thunderbird petroglyph in a post a while back (Thunderbird in Joshua Tree), but I can’t stop thinking about it. 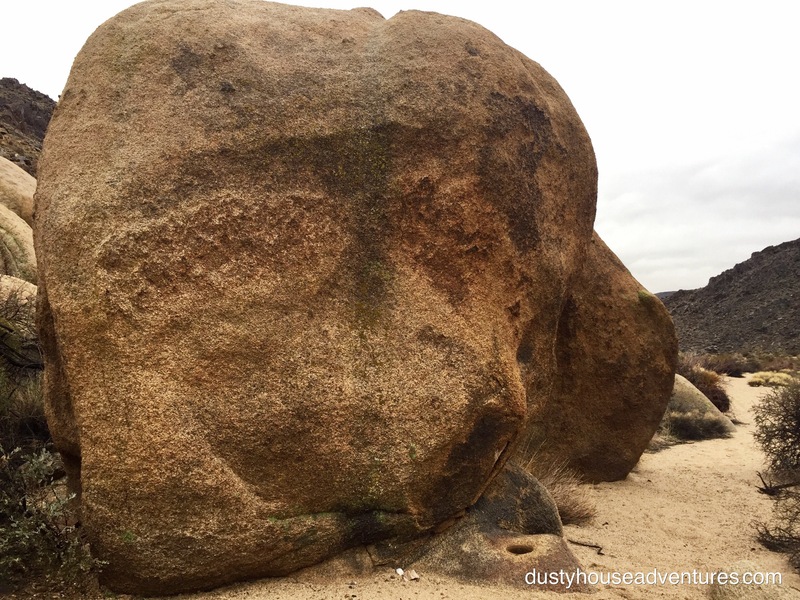 The more I learn about petroglyphs, the more I realize how significant it would’ve been to the natives of this village that the image of a powerful rain spirit would naturally present itself so grandly on such a large boulder. This must have been a very important shrine/ceremonial site, and that’s why the mortar hole in front of it is so deep, it was used a lot. Of great symbolic importance to American natives was the Thunderbird. Thunder brings rain and thus creates and sustains all life. In the native village at Stirrup Tank I found what I think is a giant petroglyph of a Thunderbird. There is a large boulder that backs up to a hill and looks out at the horizon over the open desert to the West. 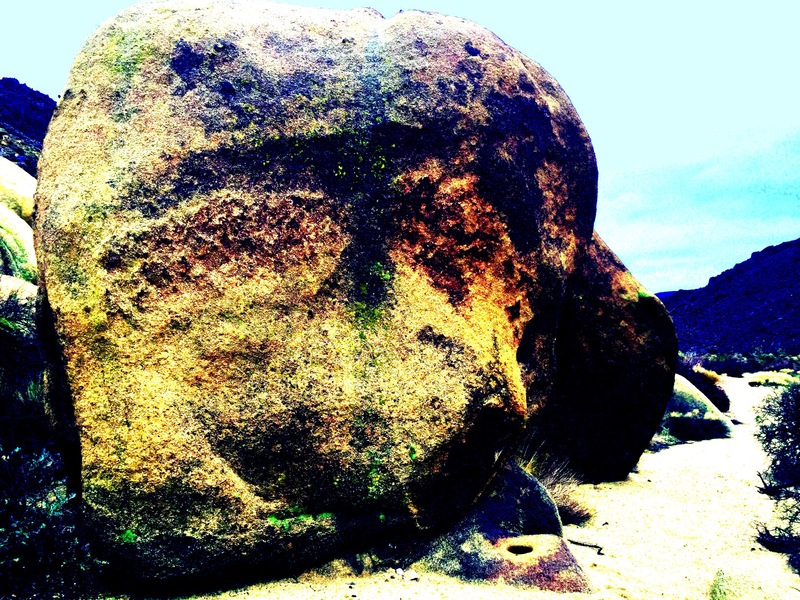 On the face of the rock is natural black and red coloration in the shape of a giant Thunderbird, and it appears to me that carvings were made in the red feathers of the wings to create a striped or criss-cross pattern. At the foot of the Thunderbird is a deep mortar hole that I like to imagine was used for ceremonial purposes in conjunction with the Thunderbird. There’s a not h in the top of the rock that sends rainwater down the body of the bird.